What is the Perfect Kiss? In life, we are always searching for our idea of what the Perfect Kiss should be. 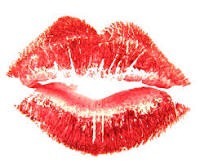 I’m 51 years old and I have to admit I’ve experienced many kisses in my lifetime. However, if you ask me the best Kiss I’ve ever received are the salty, wet, kisses I received from my kids when they were young and now the kisses from my beautiful grandchildren. You know the ones? The kisses filled with drool and boogars. The kisses covered in crumbs or at times covered in dirt from playing outside. Mmmmm Delicious!!! Now in my opinion, those are the perfect kisses. The kisses that are short lived but are in our hearts and memories for a lifetime. Those my friends, are the Perfect Kiss. Cherish them. So today if you’re looking for the Perfect Kiss, Kiss your child, grandchild, nieces and or nephews. If you’re like me, the minute you do, you will know that finally…. you have experienced the Perfect and Most Delicious Kiss. This entry was tagged children, grandchildren, perfect kiss, unconditional love. Bookmark the permalink.